In the last two days, two RMT tube drivers have been reinstated. This is the latest of several RMT members to be reinstated following unfair dismissals. We welcome the AGM resolution calling for a national ‘SOS: Staff Our Stations’ campaign, particularly considering the renewed threat to station staffing posed by the McNulty report. We will campaign on this issue in conjunction with our campaign on McNulty. Docklands Light Railway Sacked Passenger Service Agents Ian Peavot and Julian Harper for comments they posted on Facebook. DLR staff, nearly all of whom are RMT members, also had other grievances against the company, and when talks made little progress, voted overwhelmingly for industrial action. 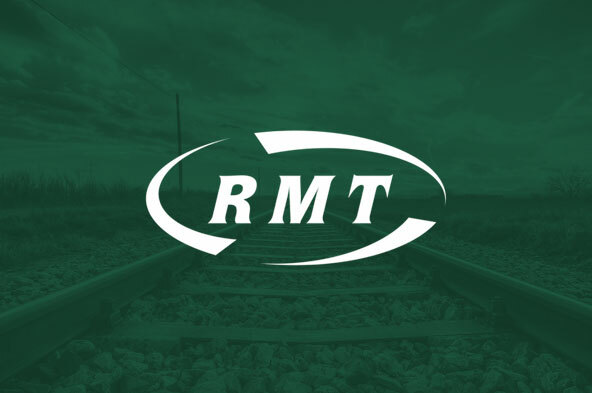 RMT reps decided on a 48- hour strike, and while lawyers wrangled about its legality, the branch kept campaigning and negotiating. Management backed down, reinstated Ian and Julian, and resolved the other issues too. Meanwhile, RMT and TSSA members on London Underground were fighting job cuts, and the company took hostages. Update: London Underground has revised its offer to four years: 5% this year, RPI+0.5% (minimum 2%) for years 2, 3 and 4. That we note the report from our Lead Officer on negotiations with DLR. The General Secretary is instructed to ensure that we enter into negotiations with Serco Docklands on the Olympics issue and to ensure that reports are placed before the General Grades Committee so that we can co-ordinate our response with those offers received from other companies. We note the detailed report from our branch on issues on DLR, and agree to add this to the file. We instruct the General Secretary to obtain from the lead officer for DLR a report on these issues, and on how best we can support the branch in dealing with them. The report to be placed in front of the GGC when received. That we note the report from our lead officer concerning discussions with Serco Docklands about working arrangements for the Olympic Games. We instruct the General Secretary to obtain reports from all lead officers on progress of discussions regarding the Olympics. We refer this issue to the Olympics Sub-Committee for examination and report, and instruct that it meet as soon as practical in order to effectively co-ordinate our work on this issue. That we note the response from Serco Docklands [telling us what facilities they have for bike storage and showers]. We instruct the General Secretary to write to our branch asking whether members believe that these provisions are adequate. The response to be placed in front of us. We seek the views of our Docklands Light Railway branch on this matter.